So, recently I picked up the Mounted Sergeants box.What can I say, here we are again with what I believe is good variant of the the best medieval plastic kit on the market.If you have not checked out my reviews of the Teutonic Knights and the Templar Knights, also from Fireforge, I would recommend that you do so now. As for the Sergeants kit, much of the box is similar to what we have seen before in the previous two releases. 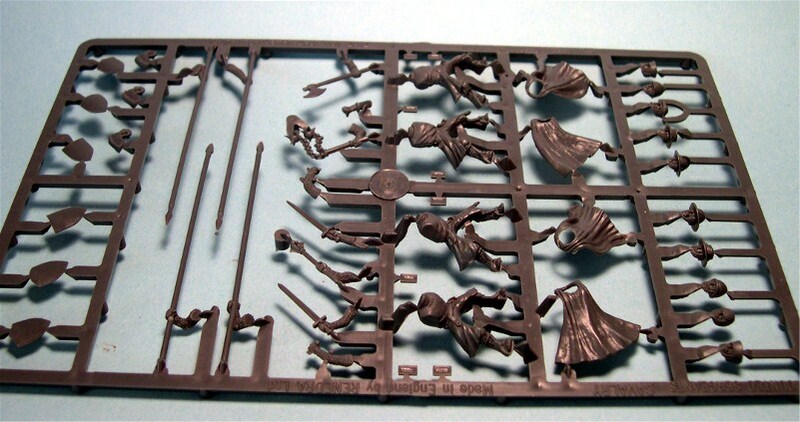 The weapons are the same, the rider bodies are the same, the command sprue is the same. What is different are the heads, the shields, and the horses. 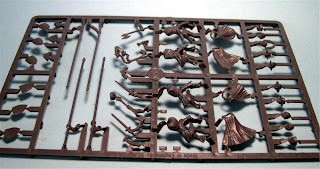 In the box you receive two of the above sprue and one of the command sprues. They are once again coming out of Renedra. From left to right: Perry Crusader, FireForge Sergeant, GW Brettonian, FireForge Teutonic Knight, Conquest Games Norman. Above: Perry Crusader vs. FireForge Sergeant. Above: Conquest Games Mounted Norman vs. FireForge Sergeant. Above: FireForge Sergeant vs. FireForge Teutonic. 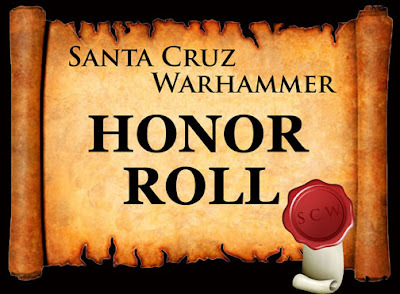 Above: FireForge Sergeant vs. GW Bretonian. How does it compare to infantry? 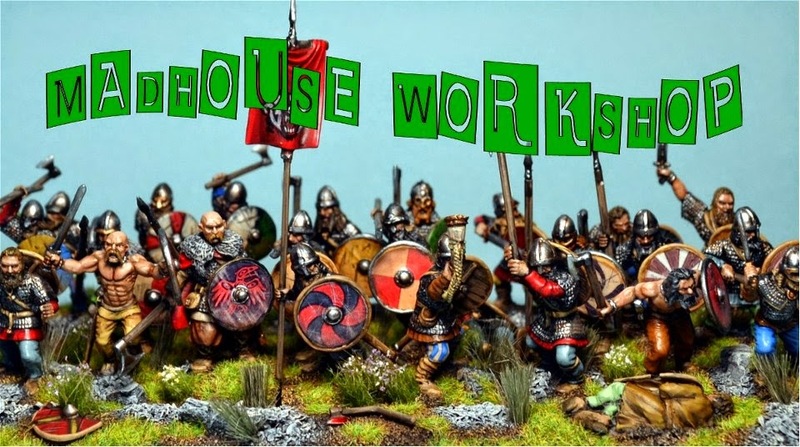 Above: Warlord Games Giant Auxiliary, Warlord Games Roman, Warlord Games ugly Officer, Perry Crusader/Norman, Conquest Games Norman, FireForge Mounted Sergeant, Gripping Beast Plastic Viking, Foundry Roman Tribune. Bottom line, a great looking kit, well worth my pennies, I’m extremely impressed and I simply cannot wait to get my hands on the infantry. I like this kit much more than the previous two. You're not alone with the rump-area gaps - I've just been assembling the Teutonic set and had to green stuff every saddle in the set. That is probably the only problem that I have seen with the Knight kit as the rump are was pretty tight. Quite honestly every horse kit has that saddle or rump issue with the exception of GW's Chaos Knight horses which have an overlap in the armor, out of the kits that I have done.